Your email marketing strategy could use a little help. Really, no matter how great you think it is there is always room for improvement. If you want to see higher conversion rates, then you should be looking at every way possible to get your content marketing and inbound marketing working for you. So no matter how great you think your campaign is, why not review some ways you may even be able to improve upon it. This should be a no-brainer for anyone who has been working with content marketing or email marketing for any length of time. The subject line is your hook and can make all the difference in whether someone reads your email or not. These words are possibly more important than the content itself. 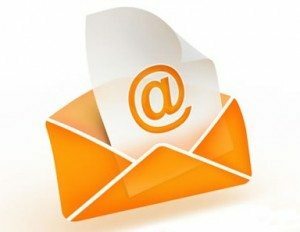 If your subject line cannot entice people to read on, you will have little chance of success with your email marketing campaign. How can you do this? Well it isn’t rocket science; you just need to entice, intrigue or entertain people enough to get them to continue. For example, if you can raise their curiosity, people will want to read on. Keep it simple and as brief as possible. For local marketing make sure you include the area in the subject line, too. Put your most important information at the top of your email. Be brief. Be to the point and then expand on idea your introducing. Not most email programs show a preview of the content before opening the email. So many of your readers are seeing both the headline and the first few sentences of your email. Exploit this real estate for all its worth to improve the chance that people will continue reading. Design & layout considerations (for click through etc). As you’ll see from your split tests above, timing has a lot to do with your rate of success with email marketing. Just think about different times you have posted something on Facebook and the response rate you got. Sure some of it has to do with the content you post, but a good deal of it also has to do with when you post it. The time of day and even the day of week can have a big impact on how readers respond. Some of this is trial and error, but one approach is to try sending on different days of the week to different people on your list; the responses should indicate which day is best. From there you can try the same thing with the time of day. How often are you mailing to your list? If you’re seeing open rates of 2-3%, you’re probably doing more damage than good. Try backing off the frequency and give the list a little breathing room before it deteriorates completely. What’s In It For Me? Make sure your email is relevant and offers something that your audience actually crew about. You can start by segmenting & targeting your list with content THEY value. Increasing relevance builds trust and who knows? They might actually look forward to your email. Whatever it takes it is time to ensure that you are getting the most conversion results for your content marketing and email marketing campaign, including lead nurturing. Sure, if it ain’t broke don’t fix it, but you should improve upon it so it works even better. ← Will Siri Forever Change Your SEO Strategy?